My friend Geoff sent me this excellent presentation by Marta Kagan on "Social Media" (Think Web 2.0, social networking, You Tube, Twitter, etc...). It is a must view for anyone interested in technology / marketing. Job seekers take note: The spell check feature of MS Word is configured to "Ignore words in UPPERCASE" by default. I can't be too critical though. I'm a terrible speller and when I was applying for my first job out of school I learned the hard way that many email clients don't spell check the Subject line. Yesterday on Meet The Press Chuck Todd suggested Obama may announce his VP selection within the next two weeks. Today Bob Novak is writing that McCain may announce as early as this week. Sources close to Sen. John McCain's presidential campaign are suggesting he will reveal the name of his vice presidential selection this week while Sen. Barack Obama is getting the headlines on his foreign trip. 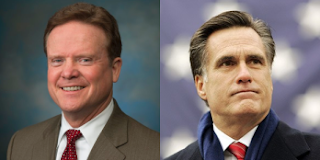 The name of McCain's running mate has not been disclosed, but Mitt Romney has led the speculation recently. My friend Elad recently shared an amazing soccer story with me from Snopes. It describes the true story of how in 1994 the Barbados soccer team advanced in a cup match by intentionally scoring a goal against itself. Sounds impossible right? With 5 minutes to go, Barbados were leading 2-1, and going out of the tournament (because they needed to win by 2 clear goals). Then, when they realized they were probably not going to score against Grenada's massed defence, they turned round, and deliberately scored on their own goal to level the scores and take the game into penalties. Grenada, themselves not being stupid, realized what was going on, and then attempted to score an own goal themselves. However, the Barbados players started defending their opponents goal to prevent this. In the last five minutes, spectators were treated to the incredible sight of both team's defending their opponents goal against attackers desperately trying to score an own goal and goalkeepers trying to throw the ball into their own net. The game went to penalties, which Barbados won and so were awarded a 2-0 victory and progressed to the next round. Don't think he has mentioned it on his site yet (or I just missed it). Stuart Dredge from www.pocketgamer.biz is reporting that the Zeemote JS1 will be available for sale this month. 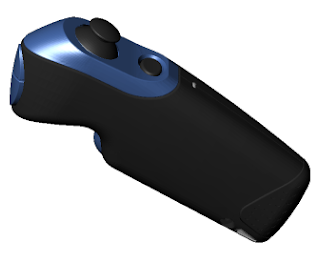 Zeemote's innovative JS1 Bluetooth controller for mobile games is due on sale in at least one European country this month, according to VP of sales and business development Jim Adams. Two Sherlock Holmes Movies Starring Who? A recent article in variety says that two Sherlock Holmes movies are in the works. One is a drama, called Sherlock Holmes, and will star Robert Downey Jr. as the lead detective. The other will be a comedy with Sacha Baron Cohen (A.K.A Borat) as Holmes and Will Ferrell as Watson. Nothing in IMDB on this one though so who knows. A blog post by Roger Ehrenberg has been making the rounds on various technology / entrepreneurial / investment sites. Looks like the new Batman movie, The Dark Knight, could be headed for the highest-grossing opening weekend of all time. Canada's The Globe and Mail had an article yesterday discussing the history of the Batman movies and identified a number of projects that were started but never completed. It is not clear how far along these projects ever got or if the directors / actors named below were ever actually signed to a deal. Check out this short interview with Seth MacFarlane. He says he hopes to get started on another Family Guy movie this year. I finally watched the movie We Are Marshall this weekend on HBO. a 2006 motion picture directed by McG about the aftermath of the 1970 plane crash that killed all of the Marshall University Thundering Herd football team; the rebuilding of the program; and the healing that the community undergoes. It is the best football movie I've seen in a long time. Check it out if you haven't. I found an interview with Rick Nolte, the author of the book, in which he describes the parts that were accurate versus those that were dramatic license.